In a February 5 report, the German magazine Focus warned that the Brotherhood is a big threat to Germany, demanding that they be expelled from the country, especially that Germany’s Federal Office for the Protection of the Constitution had earlier warned of the group's spread in Berlin, which threatens democracy. Focus cited warnings from the German authorities about al-Qaeda and ISIS, especially in East Germany. The magazine fears that the Islamists will continue their efforts to penetrate society. It stated that the Brotherhood is currently trying to find a foothold, pointing out that the group was working on the construction of seven sites in the state of Saxony. The magazine described the role played by an Egyptian preacher known as Saad el-Gazzar, who has been active in Germany for many years and founded an association that describes itself as a "multicultural and religious institution". Gazzar is an Egyptian citizen who has lived in Germany for 17 years but does not speak German. He represents a great force of the Muslim Brotherhood, which enabled him to open six centers to disseminate the group’s ideas, at the foremost of which is the Saxony Cultural Forum, which prevented journalists from entering or taking photographs. According to German media, the Saxony Cultural Forum is involved in spreading anti-democratic speeches. The refugee crisis in the East, the desire for identity, and the psychological state of many refugees are being used as new fuel to threaten Germany. Gazzar claims that the funds used to build and establish fundamentalist centers are connected with donations, denying any connection to the Muslim Brotherhood, despite the German intelligence's assertion that he belongs to the group. He is also involved in the distribution of banned books inside Germany that incite hatred, violence and the permissibility to kill, which resulted in licenses being revoked from this centers. 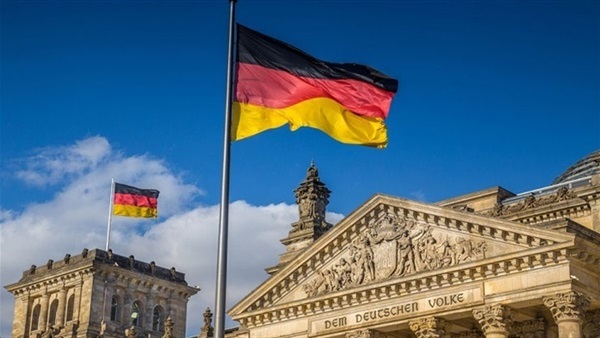 In December, Germany's Süddeutsche Zeitung reported that Germany’s Ministry of Foreign Affairs had warned countries sending donations and grants to religious institutions in the country should inform the German authorities in advance. The German intelligence agency would check the donations and verify the identities of the sender and recipient. The German government has also reduced its financial support to the Turkish-Islamic Union for Religious Affairs (DİTİB), which oversees about 900 mosques run by the association across the country, due to its association with the Turkish government and the involvement of its imams in politics. Martin Schultz, the Social Democratic Party leader, told German newspapers, "If the association does not move away from its political activity, it should be placed under the control of the security services." Meanwhile, research reports issued in 2015 warned against the impact of funds coming from abroad and recommended increased monitoring of Salafi-funded activities.